Sunday morning, I looked down upon my favorite paddle brush for my hair. If it could have talked, it would have said “I’m done.” Quite a few of the bristles were bent and after 4 years of use, the time had come to say goodbye. Honestly, I used the brush way past its life expectancy. It is recommended to replace your hair brush when worn or every 1-2 years. However, mine worked quite well over the past few years. 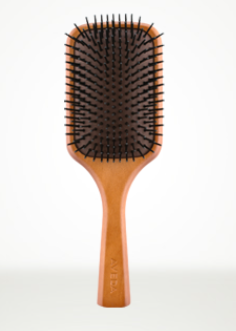 The bristles felt great against my scalp and detangles like a charm. I cannot even imagine using another brush. So I made a special trip to the Aveda store on Sunday to purchase a replacement. I love the Aveda stores, the products, the scents, and the staff are great. Aveda is a blog-worthy topic all on its own. After I arrived back home, I used the brush immediately. My scalp enjoyed every stroke. I will probably not wait as long to replace it again, as it felt remarkably better than the old one. The replacement paddle brush was welcomed into the collection of my favorite hair styling tools. Pictures above are the few combs that I use, as well. 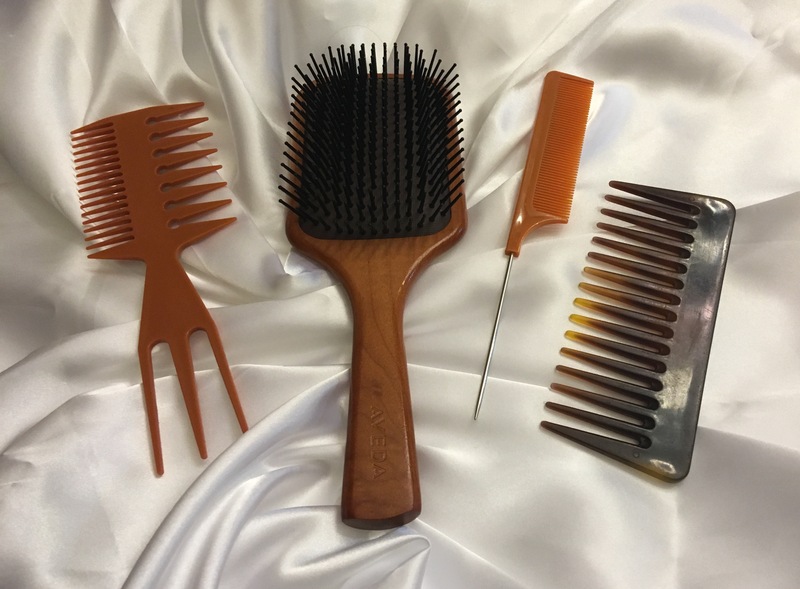 The first comb on the left, whatever it is called, is great for loosely moving through curls. A professional stylist could probably tell you what it is called. The second comb is a pin tail comb, which I use to create my long smooth swept bang look, to make perfectly straight parts, and for separating my hair for flat ironing and placing hair rollers. The fine tooth comb side of the pin tail is not for everyday use to comb through all of my hair. The comb on the far left I use to move hair conditioner through my hair. You can use the Aveda brush for that, but I do not want to get conditioner underneath the paddle of the brush. If you want more information on the paddle brush, check out the site below. It will be $25 “marvalously-spent” dollars.